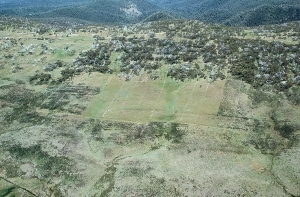 At the “Celebration of Science” in 2013, organised by the Atlas of Life in the Coastal Wilderness, CSIRO colleague Jim Peacock, a former Chief Scientist of Australia and a past President of the Australian Academy of Science, told the audience that they probably didn’t recognise just how good a scientist Dane was and that in our midst was an outstanding scientist with an international reputation; Jim is certainly well qualified to make that assessment and it did open our eyes to some of the achievements of this humble man. 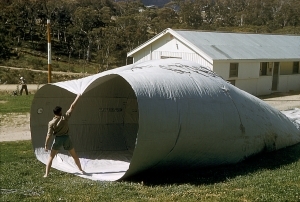 Dane’s initial interest in science and botany were stimulated by childhood rambling around in bushland on the small farm he grew up on near Northmead in Sydney. He couldn’t do biology at school as he was already doing physics and chemistry so his initial contact with the biological sciences was during university when he was able to study botany and zoology. 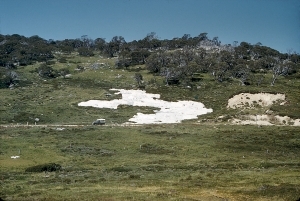 At the end of 1956 having finished final exams at Sydney University, Dane Wimbush and Jim Peacock took a holiday student’s job in the Snowy Mountains at Island Bend, assisting Dr Alec Costin with his ecological work. 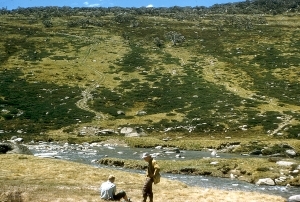 Dane stayed on with Alec after graduation and joined the Alpine Ecology Section in the CSIRO Division of Plant Industry. 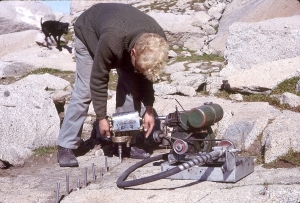 Initially Dane’s work concentrated on the damage that had occurred to alpine and subalpine ecosystems over a century of grazing and autumn burning. 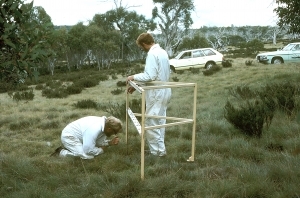 Concurrently a study of the hydrology of sphagnum bogs was undertaken and this led to a master’s thesis, submitted in 1970. 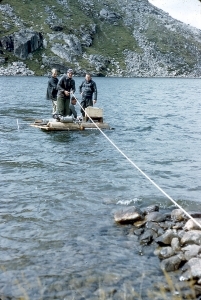 Among other things the work involved monitoring the recovery of vegetation after grazing and burning ceased in 1958, and included sediment sampling from the bottom of Blue Lake. 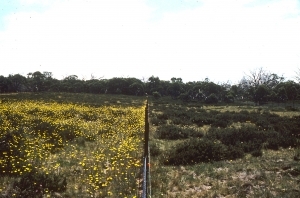 The impacts of grazing were clearly reflected in the increased sedimentation rates, established using carbon dating of the sediments. 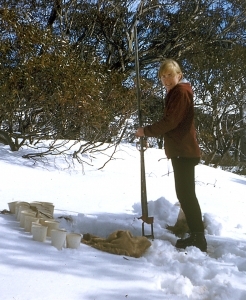 Other studies included: runoff and soil loss from alpine and subalpine vegetation; snow surveys within the Guthega catchment; grazing trials; and surveying for, and co-authoring Kosciuszko Alpine Flora, which is now in its 2nd edition. 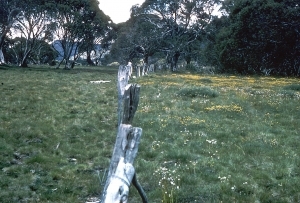 His last seven years before retirement involved a co-operative study with the CSIRO Division of Wildlife on the effects of rabbits on snowgum woodland & subalpine frost hollows near Kiandra. Dane was a committed conservationist who devoted much time and energy into the long term campaign to protect our natural heritage. He brought to that work a fine analytical mind and wealth of scientific knowledge. 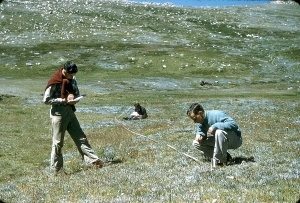 As a man of science, he helped us to understand better our precious alpine areas. His work is influential and substantial and will continue to inspire others. Dane was a lovely man and a great contributor and will be sorely missed by Robyn, his family and his friends throughout the world.